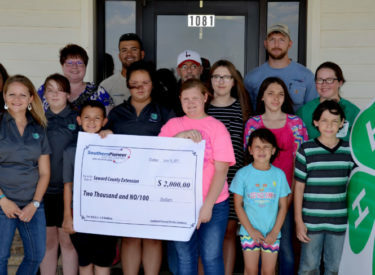 Southern Pioneer Electric’s Helping Us Give to Society (H.U.G.S.) program presented the Seward County Extension and 4-H program with a $2,000 donation to help the 4-H’ers with furnishing their new building. The new building will allow the youth organization to hold various projects such as arts and crafts, cooking, sewing and shooting sports at a central location. The projects were held at various locations around the local area prior to the building’s construction, as the group hadn’t had a central location for nearly a decade. 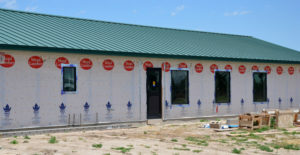 The Seward County Extension’s new 4-H building, currently under construction. With an overall goal of “making the best better,” the 4-H group feels that having a safe and caring environment and location for the youth and leaders to meet will make for a more positive learning experience. 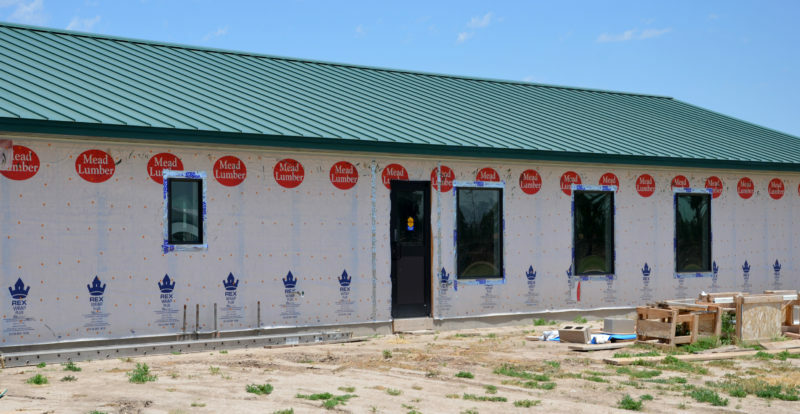 The building will also be used as part of the Seward County Extension program in addition to the 4-H activities—adding even more educational opportunities to the county’s youth. With 50 area youth enrolled in 4-H full-time, there are also 70 youth that will attend educational events during the summer months. Both the 4-H and non-4-H youth events will be held in the new building. Donations are a key part of the groups success, helping the local area youth really make the most of their time with the Extension and in 4-H. The H.U.G.S. donation will help furnish the building with things like stoves, refrigerators and other appliances for its fully stocked kitchen. 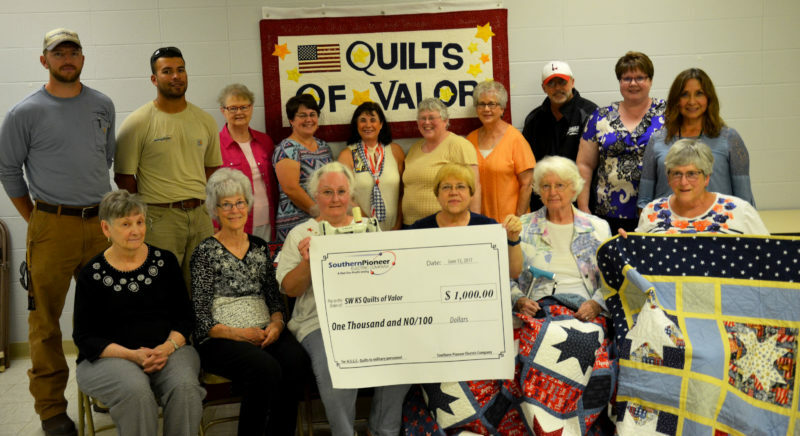 In their mission to thank our military and raise awareness of the dedication and sacrifice of veterans and service members, the Southwest Kansas Quilts of Valor program received a $1,000 donation from Southern Pioneer Electrics H.U.G.S. team representatives Tuesday to help with the organizations 2017 goal. With one quilt costing up to $250 to complete, the monetary donation will go toward fabrics for quilt tops, backing, batting, labels and shipping. The quilting services themselves are donated by volunteer quilters. Depending completely on donations, the Quilts of Valor program for the area set their yearly goal at 70 quilts for military members, looking at costs of up to $17,500. The H.U.G.S. donation is a big help according to Quilts of Valor member and local area administrator, Peggy Luck. Since starting in 2003, the Quilts of Valor program has distributed over 151,000 quilts nationwide. In Southwest Kansas alone, the quilting guild has given out over 200 quilts and has 100 requests pending for new quilts. The local quilting group has honored veterans as far north as Hill City, Colby and Stockton, with quilts also going as far as Dodge City and Anthony. While some quilts are presented privately, most are given in public ceremonies—something the quilters love because it shows public support for former members of the armed services.